Why Do Websites Refuse To Label Sponsored Content As “Advertising”? Looking back at our breakdowns of so-called “native advertising,” the ad-world terminology for an advertisement made to look like a news story, you may have noticed that these execrable, nauseating (but profitable) ads were labeled things like “Sponsored by…,” or “Promoted,” or the blatantly vague “From our partners,” but none of them simply said “advertisement.” And the people who make money off this insidious nonsense say there’s a good reason. And it’s not because they’re embarrassed that their editorial content is running alongside a story whose entire existence is paid for by some car/drug/food/insurance company. No, the defenders of native advertising say it would be doing a disservice to these ads-in-editorial-clothing to merely slap the “ad” label on them. The Daily Beast, for example, goes the “Sponsored Content” route in labeling the native ads it runs. 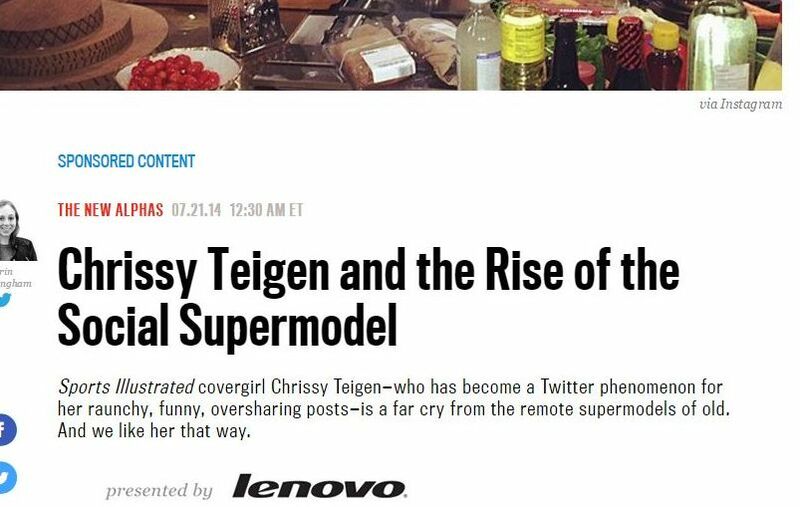 And the site’s managing director-chief product and strategy officer (a job title straight out of some 1950s satire novel) tells AdAge that this is because this faux content doesn’t interrupt the reader’s visual flow unlike traditional ads. Which is exactly the point of concern. We should know when we’re being advertised to. Placing paid-for content in the same format and positioning it as legitimate news content blurs the line. A recent survey of native advertising found that, in general news stories, only 41% of respondents were able to say that the sponsored stories were clearly ads. The percentages were much higher in entertainment and business news stories, but there should never be any confusion between content that is decided upon and created by an independent editorial staff and that which is crafted at the behest of an advertiser. But yet when AdAge looked at 24 different websites, ranging from hard news sources like the Washington Post and Wall Street Journal to less-serious fare like The Onion, it found that not a single one of them used the word “advertising” to describe this bought-and-paid-for content. The line between advertising and editorial is only blurring as advertisers seek new ways to put their brands in front of your eyeballs and some media companies are more than willing to make it happen. Conde Nast, the grand dame of snooty magazine publishers, recently (and proudly) announced the creation of an in-house “studio” to work with advertisers to give their sponsored crap that distinctive Conde feel. Forbes crossed a line earlier this year when it decided to promote an advertorial on the front cover of one of its issues. We know it’s not easy keeping a publication alive, and we know it’s tempting to take that easy ad money in an age where everyone online wants everything for free, but at what point do we just give in and hand over the editorial reins to Coca-Cola and Nike? Cancer Centers Tripled Ad Spending In Last Decade; Are They Pushing Hope Or Hype?